Our team enhances the global reputation of the University by communicating its achievements, faculty research, student successes, programs, and events to the local, regional, national, and international news media. Our news writers and public relations specialists respond to daily media requests for information and faculty experts. 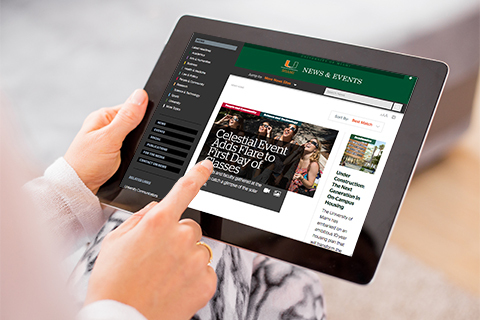 The skilled writers on our news team are always on the lookout for inspirational feature stories and interesting facts about the accomplishments of faculty, staff, students, and alumni for the news.miami.edu website. 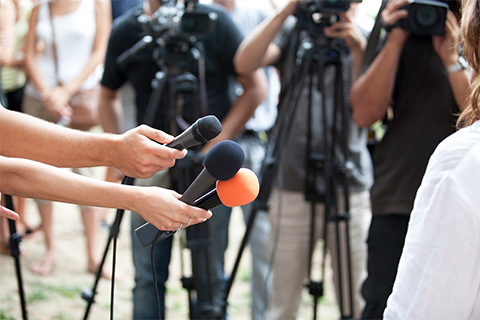 External media seeking information, interviews, or expert commentary from a University of Miami administrator, faculty researcher, or field specialist are encouraged to contact our media relations officers.